My current bike came with a climbing cassette and i live in a place of flats. So there was no need for that cassette. So i decided to go for smaller gears for more speed. I love it, best upgrade i have done on the bike and it was pretty affordable. Flawless shifting, a little more weight than Dura Ace, but otherwise, no noticeable difference. great price and you would be foolish to pay more. sure its a few grams heavier than top of the line. if your worried about that put down the doughnut ! This is a great cassette that will stand up to abuse and keep delivering day after day. I use these cassettes on my road and cyclocross bike and they stand up to everything. With short but steep hills around driftless region you need all the cogs you can get for 18 degrees. 11-32 does the job. I've used these cassettes for decades and they have never let me down. The 11 speed cassette continues to provide reliable shifts with a wider gear range, so that I don't need as many cassettes. upgraded my 6700 group set to 11 spd. can't go wrong with upgraded parts. I thought my bike shifted smooth, but now its a different machine. If you're putting on lots of miles, its hard to spend the extra on dura-ace. The performance of this cassette is on par at a fraction of the price. Building wheels is the best thing about bikes. 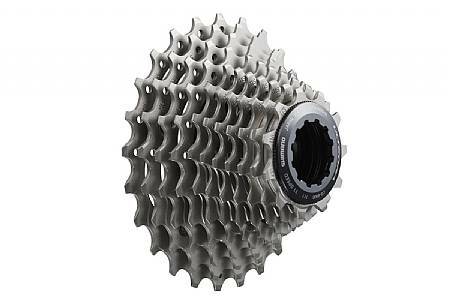 Using Ultegra 32 hole hubs and slipping on an 11 speed cassette when the wheels are done is a sure sign the wheels are going to do great things. great smooth shifting...I have always had the 11-28 the last year I have been using 11-32 and will never go back...I don't use the 32 that much but after a long ride and the last hill home it's great to know you have that extra gear if you are outta gas! The work horse of Shimano. I have been using Shimano Ultegra for 15 years and have complete confidence in the quality. A good value as well.